The HP No. 84 Ink Cartridge is ideal for business professionals who require high-quality colour and fast easy and reliable printing solutions. C5018A The HP No. 84 Ink Cartridge is ideal for business professionals who require high-quality colour and fast easy and reliable printing solutions. Hassle-free modular system. Print without headaches using the convenient HP 84 Modular Printhead and Ink Cartridge System. Printheads are long-lived and easy to replace. Faster, more cost-effective printing. Save time and money. 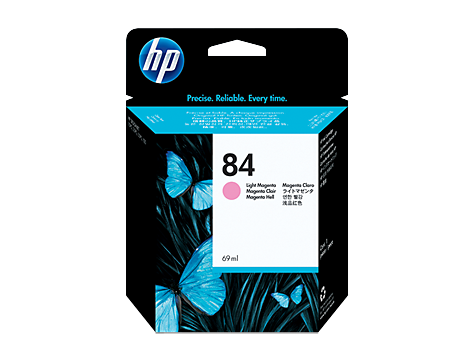 To Recieve updates and possible rewards for Hewlett Packard (HP) HP 84 69-ml Light Magenta Ink Cartridge please sign in. To Recieve updates and possible rewards for Printer Cartridge, Ink & Toner please sign in.